. . . a great cause if I do say so myself. . . what cause you ask. . . MS of course! 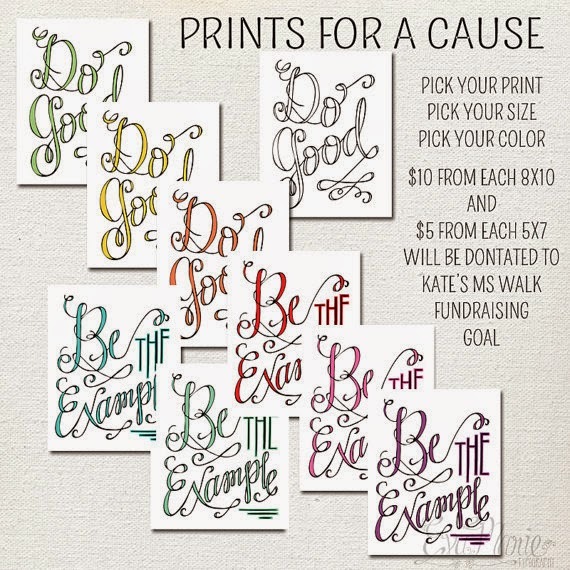 Eva of Eva Marie Typography has created two unique prints to benefit MS. Kate, one of my wonderful teammates, partnered with Eva on this creative fundraising idea. Eva is generously donating a portion from each sale to Kate's MS Challenge Walk Fundraising which will help The Bean Team raise even MORE money for the MS Challenge Walk! Since I was in Italy when this started I just ordered my prints today. I ordered one of each and I can't wait to get them. I plan to bring the "Do Good" one to work for my desk and will hang "Be The Example" one somewhere in my apartment. So what are YOU waiting for?! Go order yours. Also if you order more than 1 use the code MSFUNDRAISER for free shipping! 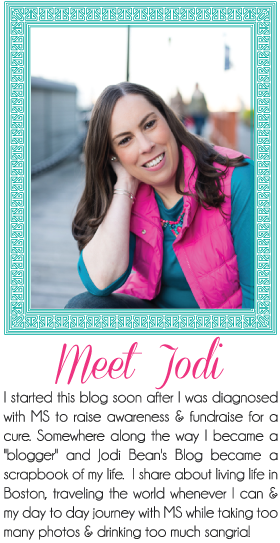 She did a great job on these and so awesome she is donating proceeds! I hung my Do Good print today! I still need to get my frames- thanks for sharing!